Not since Wimbledon and Match Point came out in the early 2000s has Hollywood attempted a blockbuster tennis movie. It’s about time, and this time, with Battle of the Sexes, it looks like they did it right! 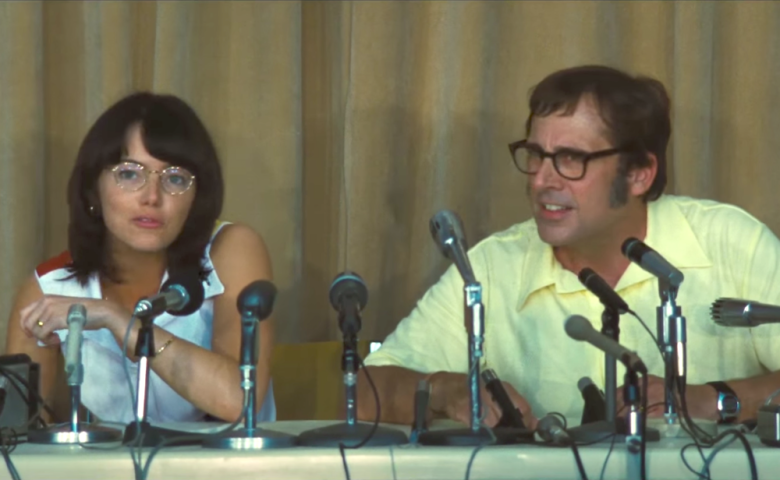 Starring Emma Stone and Steve Carrell, both extremely likeable stars, the films covers the infamous exhibition match between Billie Jean King and Bobby Riggs in 1973. The film starts in 1972 as Billie Jean King was ascending to international fame. Gender inequality was still running rampant but was beginning to be a conversation. Bobby Riggs was a former top tennis player and Grand Slam Champion, but ostentatious despite his age. He taunted female tennis players, claiming that none in the world could beat him. He challenged Margaret Court, and won, in 1972, sending his confidence soaring. He said he will beat any female player in the world and offered a (then) ludicrous $100,000 prize to anyone who could (and beat) him in a match to be televised live on ABC. King, unbeknownst to the public at the time, was having internal struggles with her sexuality, and was at the forefront of the gender equality movement. She accepted his challenge, and symbolically, handed Riggs a squealing piglet at the onset of the match. The match was played in front of 30,000 screaming fans at the Houston Astrodome, and was seen by millions more in the most viewed event since the moon landing. She then, famously, went on to win in straight sets, setting off her incredible gender equality efforts that still echo through tennis and modern culture. 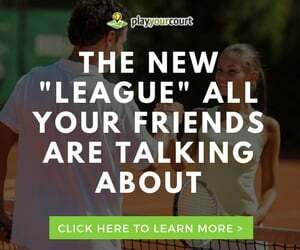 The film tackles not only the actual “battle” on the tennis court, but also BJK’s battle with her sexuality and greater struggle against gender inequality. Critics who had a chance to see the movie before its release rave about the performance of Stone and Carrell and rotten tomatoes is rating it at 87% on the tomato-meter. Whether you are a tennis fan or not, the story is remarkable, and the film appears to do it justice. One thing is for sure, this is NOT a flop like Wimbledon or Match Point. See it in theatres starting September 22nd.